Market Square Plaza in Harrisburg is located at 17 North 2nd Street. The property offers a variety of retail experiences for visitors and residents in Dauphin County. Situated in the Central Business District, Market Square Plaza is close to Strawberry Square, Walnut Street Garage, Walnut Place Office Tower, The Whitaker Center for Science and the Arts and Harrisburg Hilton & Towers Hotel, making it an ideal place to conduct business. When visiting the Central Business District in Harrisburg, you need convenient access to banking services. Our Market Square Plaza branch is ideally situated to help you with your banking needs. If you need business banking services, visit our branch at 17 North Second Street to access your accounts or to take advantage of our many other business services. 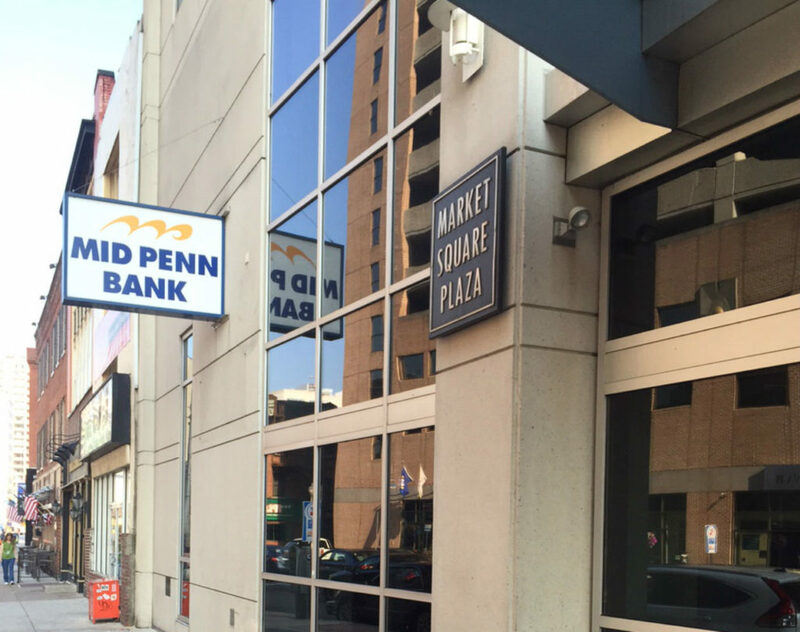 If you’re spending time in downtown Harrisburg for fun or shopping, stop by our branch at Market Square Plaza. Whether you’ve lost your debit or credit card, need to apply for financing, or need to take care of other banking matters, our team members would be glad to assist you. You can also conveniently access your accounts through our telephone, mobile and online banking services. If you want to switch banks, need banking services or have questions, stop by or call our Market Square Plaza branch at 717-920-1980 for friendly, professional help.